Like a mirror for 5+ years outside. Take Your Graphics To New Heights! Convex: the thick, conformable vinyl for decals that applies easily to complex curves. The combination of Convex media, adhesives and laminates gives you total control to offer your customers a decal product that is tough, reliable, and performs better than any of the other brands out there. Our adhesives are custom formulated to work with our proprietary soft Convex vinyl. When vinyl and adhesives are not formulated to work together, additives from the vinyl can migrate into the adhesive and weaken the bond—the wrong adhesive combinations can come apart in as little as one month. 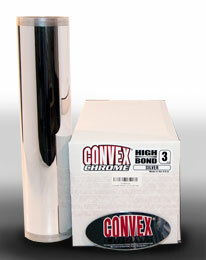 Convex products will last for years. Don’t let your customers down by sacrificing quality for price with cheap knock-off brands. Choose Convex for reliable quality every time! Convex comes in thin or thick media so you can choose just the right product for the right application (Not sure what you need? Please call us for assistance!). We offer compatible laminates in a range of thicknesses and properties such as: UV resistant, textured for slip-resistance, thin for extreme flexibility, or super thick for extra durability. Nothing Else Like it on the Market! Offer your customers the best reflective film there is, and make their graphics shine with this tough film that won’t tear easily or oxidize like shiny polyesters do. Cuts beautifully for “cut only” jobs; perfect for ID numbering for the transportation industry, high end graphics on anything outdoors, glass, etc. UV guarded for 5+ years, its mirror finish will last through any weather. Laminates are recommended to protect the pristine finish. 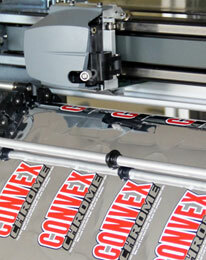 Convex Chrome is available 15″ wide for the Gerber Edge and 30″ wide for solvent inkjets. 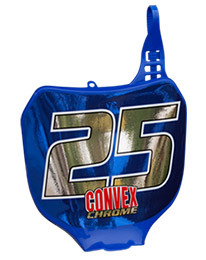 Convex Chrome comes on a polyester liner for a super smooth application. It also has a protective polyester mask on top that must be removed before printing or cutting. Beautiful decals on all types of Convex for your portfolio book, to apply as tests or use as showroom examples. or call for yours today! All of our base media and laminates are compatible with each other, and matched Combo Kits are available. Kits will simplify your ordering process and save you money. If you know your intended application, choose your own combo kit, or call us at 1-800-232-8018 for assistance and suggestions. Our friendly customer service representatives are always happy to answer your questions! Stick to enamel-painted surfaces, glass, stainless steel, aluminum, copper, vinyl, and most plastics. Maintain flexibility (even in thick decals). Have high-performance, clear, permanent, pressure-sensitive adhesives. Work with wide-format inkjet and thermal transfer printers. Durable or Pliable? Materials Make a Difference. You can make thick motocross or helmet decals that can take a real beating when you print on and laminate with compatible laminates. 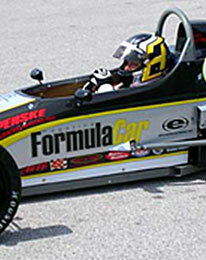 Convex conformable vinyl for decals can be applied to both high and low-energy surfaces. Harder laminates last longer, but scratching is more evident: Pro-Shield Laminate is harder and less pliable. Convex Laminate is softer and more pliable for less scratching and greater ease of application.